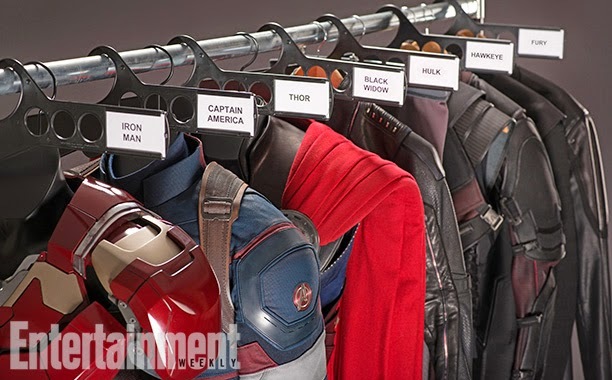 New set photos for Avengers: Age of Ultron have been released in Entertainment Weekly, and I have the pictures here. My overall impression is that the new costume designs are awesome, and I have my comments below each picture. 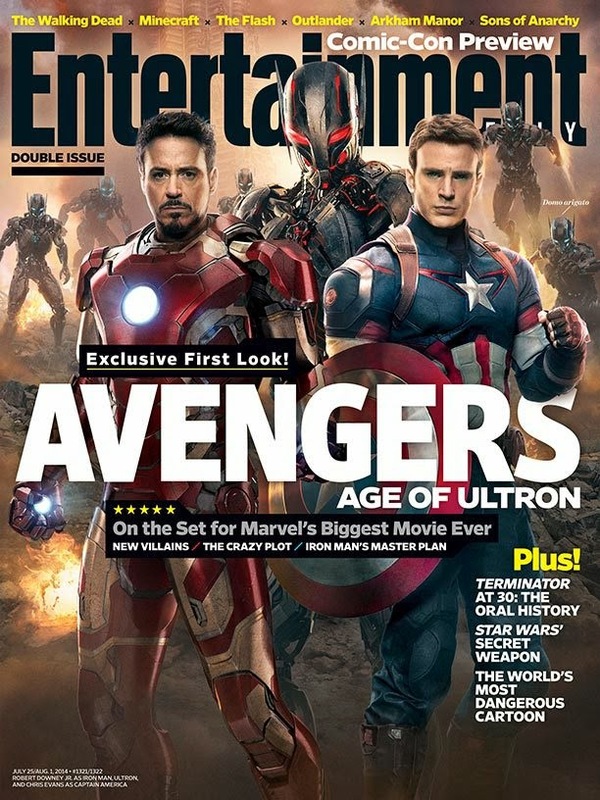 The cover for Entertainment Weekly gives us our first look at the main antagonist, Ultron, played by the brilliant James Spader. While the cover does not show a lot of Ultron, it does show his robot soldiers, which are blue, whereas Ultron is red. Also, you may notice that Captain America is the new secondary face of the Marvel Universe, with The Winter Soldier outdoing The Dark World at the box office. What's up with Cap's face? Something looks weird with the boxiness of his jaw. Otherwise, his new costume is a cool blend of the one from The Avengers and The Winter Soldier. 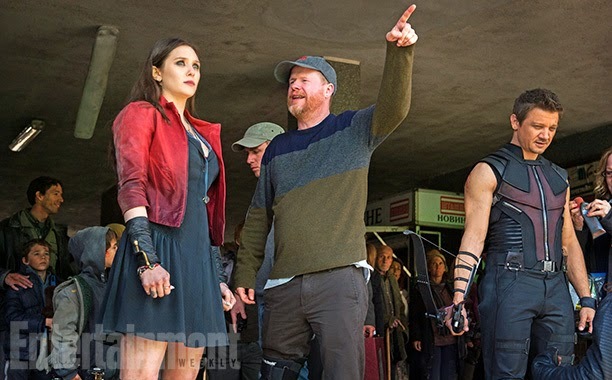 Thor's new costume has a cool look as well, although it is not a lot different than the Dark World one. 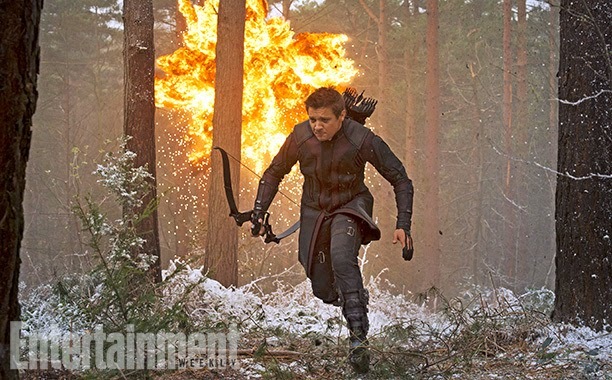 Hawkeye's new winter costume is cool, especially the jacket. 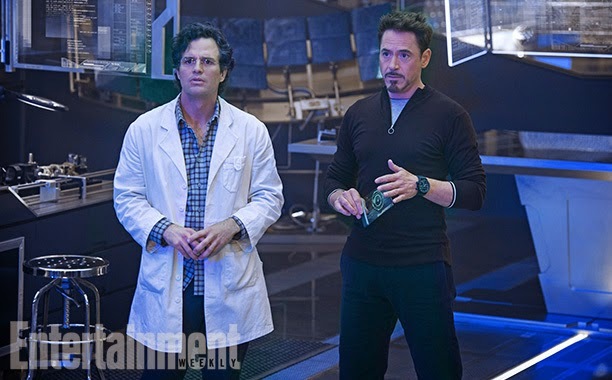 The Science Bros return! Tony and Bruce are back baby, oh yeah! Black Widow's shorter, more functional, hair returns, and it is more than welcome. 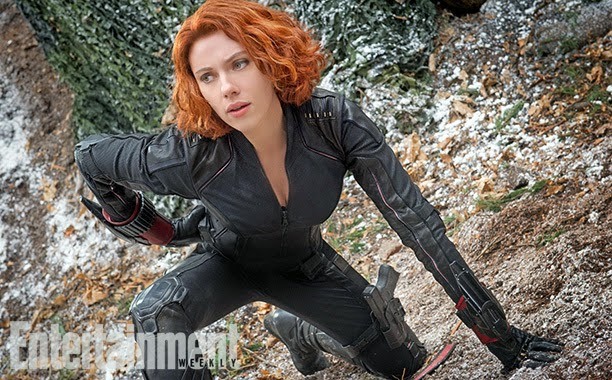 Widow's look from The Winter Soldier was cool, but her Avengers' costume is most definitely my favorite. In addition to the hair, Widow is said to have more powerful electric stinger for her suit, which you can see with the red gauntlet. 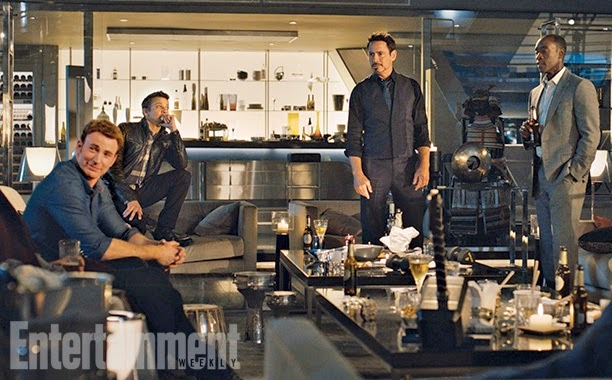 Looks like a party at the new Avengers Tower/Mansion! Everyone's looking sharp, and Thor is apparently present since his Hammer is on the table. To a lot of people's surprise, Don Cheadle is present. So does this mean he will get to suit up with the rest of the them in the movie? Not much to say other than "In Whedon We Trust." 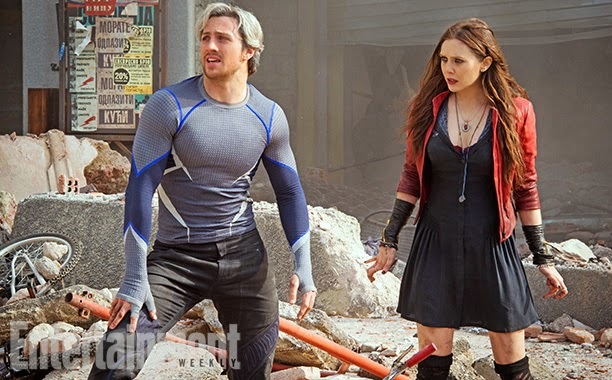 This is essentially the same picture that Quicksilver and Scarlet Witch that was released earlier in the year. Considering how utterly amazing Quicksilver was in X-Men: Days of Future Past, it is going to take a lot for Whedon to top Bryan Singer's version. 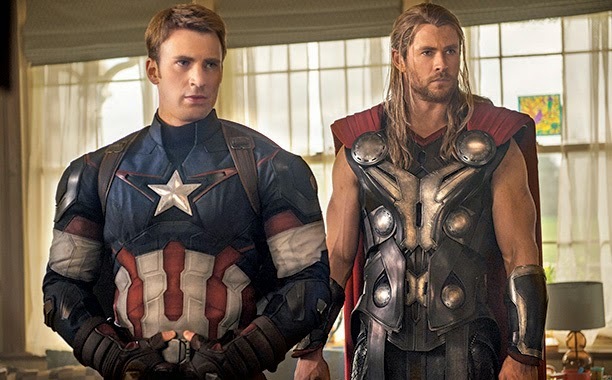 While I did not notice this initially, Grace Randolph from Beyond the Trailer noted that Captain America's costume features an Avengers "A" on the shoulder pad, and Cap is, again, right behind Iron Man, instead of behind Thor. What do you think of the set photos? Please comment below and let me know.